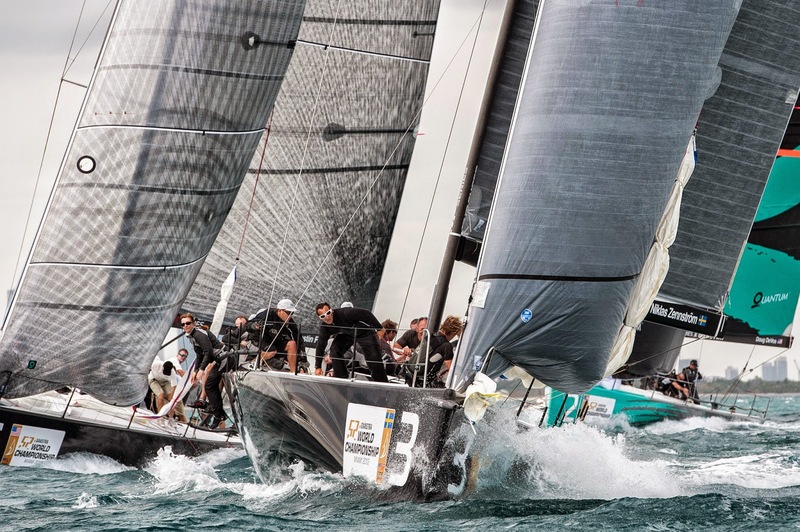 At the first leeward mark the reigning 52 SUPER SERIES champions had to take a penalty for infringing Interlodge, but they did fight back for a useful third. Then in the second race Azzurra faded to a fifth, their worst score of the regatta so far, which dropped them to second overall, one point behind the new leaders. Both races held their own special challenges, but Rán Racing’s tactician Adrian Stead was able to stay on top of the changes. They started cleanly in both races and were able to make the key gain at the first leeward gate. “It was a really good day for us with two wins. It was pre-frontal with a little bit of cloud action so it was shifty but there was kind of a pattern to it. We had two good starts and so were able to be in the front row off the line both times. The lines were quite short and so it was not easy for all eight boats to get lined up. It seemed OK for us, we were pleased to be in contention at the top marks each time and the guys did a good job on the sets. “We did not have the best first beat in the first race so that was a big fight back in that, we got a little pinned out there. We thought the breeze was a little more balanced but finally there was a big left shift that came in. We had a great run and came back to second. 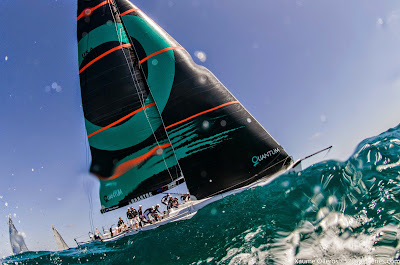 The second race we lead at the top mark but there was some clouds clearing out and you had to pick a side at the top and we went for the gybe set and unfortunately the guys that held on got the shift ended up gaining a bit.